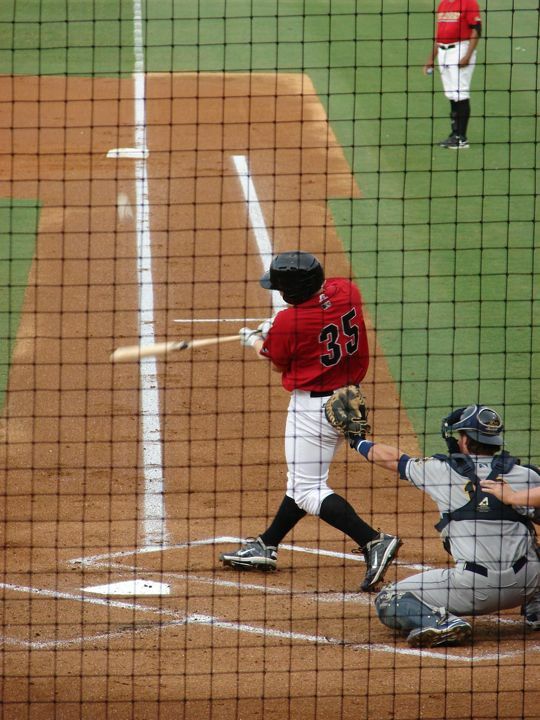 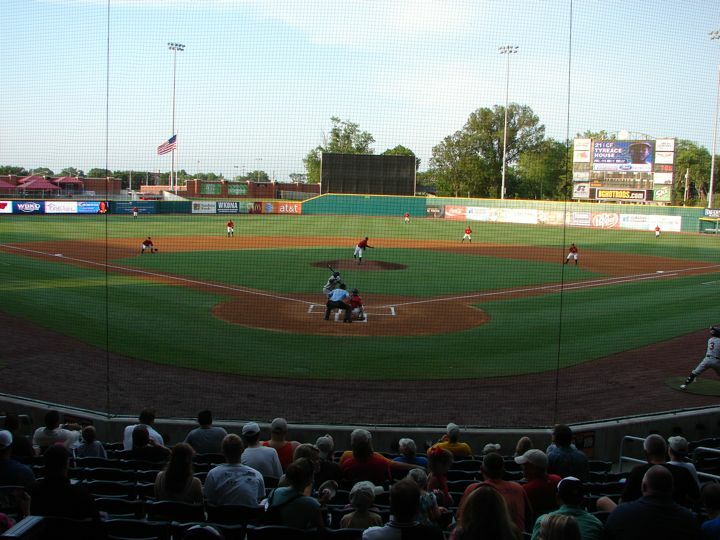 The Bowling Green Hot Rods are a Single A affiliate of the Tampa Bay Rays. 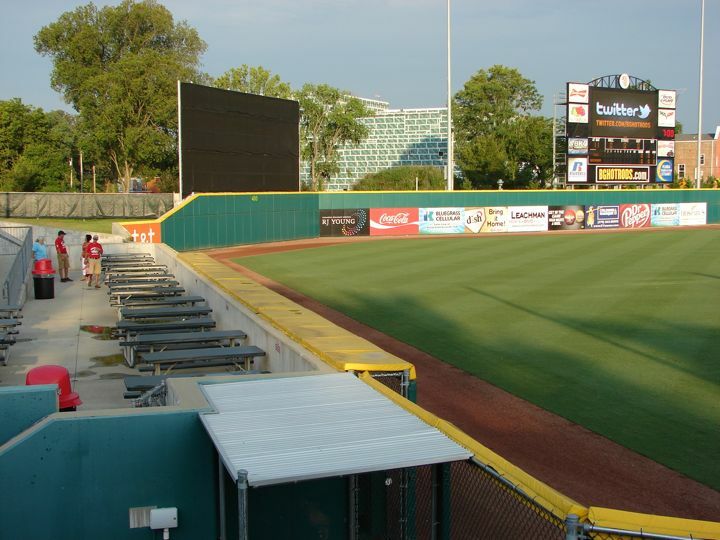 The Hot Rods play in the Midwest League. 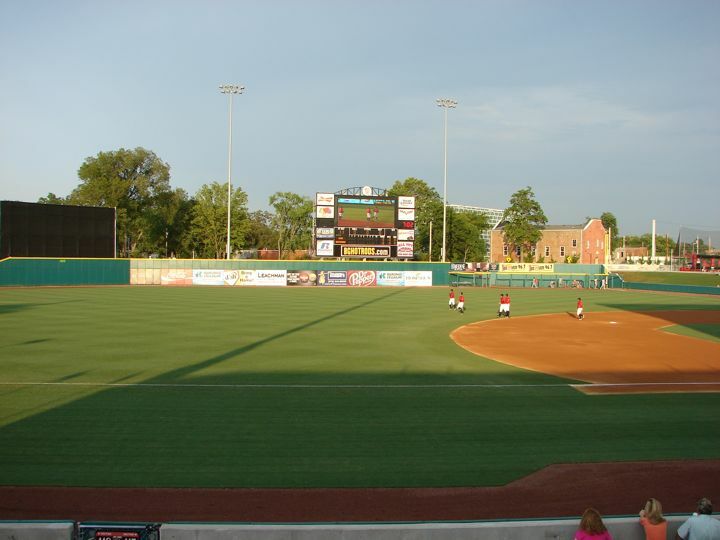 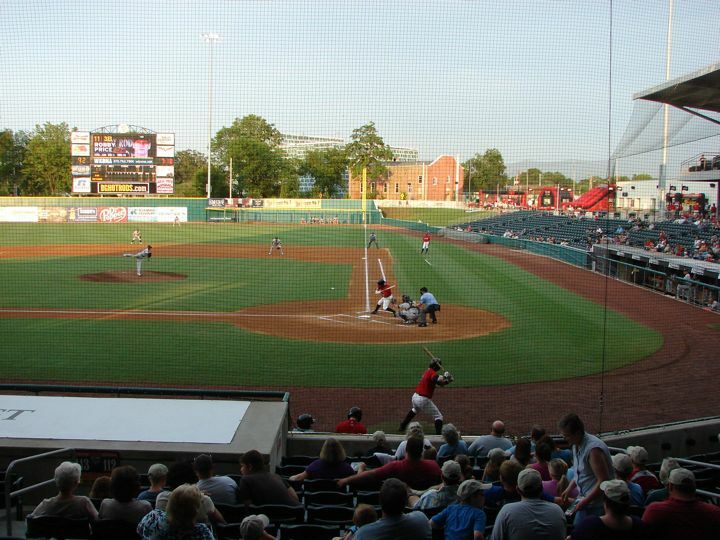 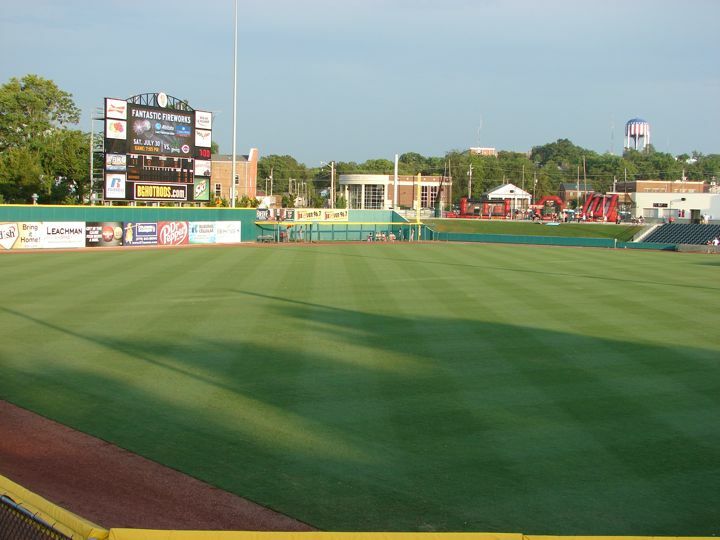 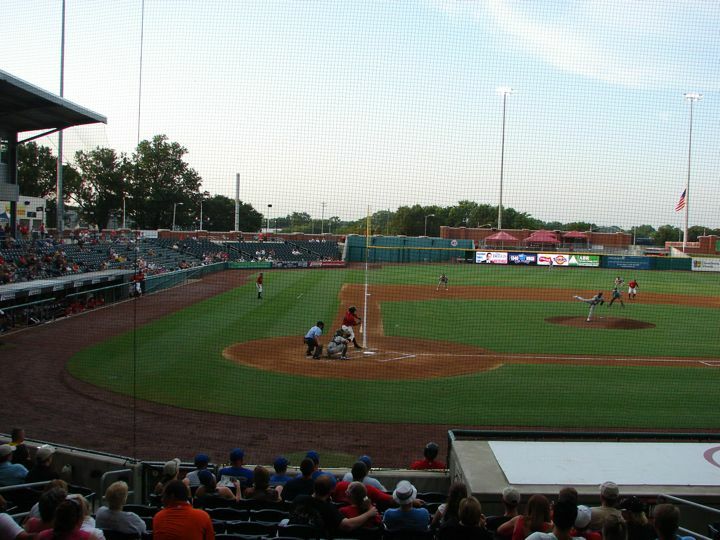 Bowling Green Ballpark opened in 2009 and seats 4,600. 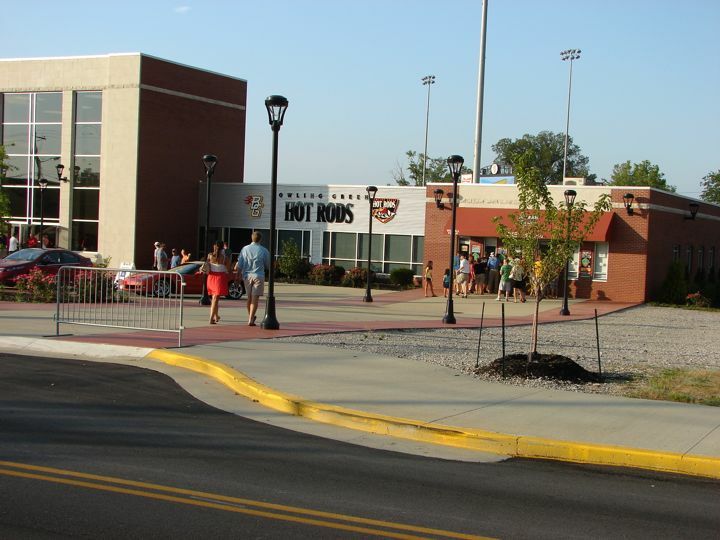 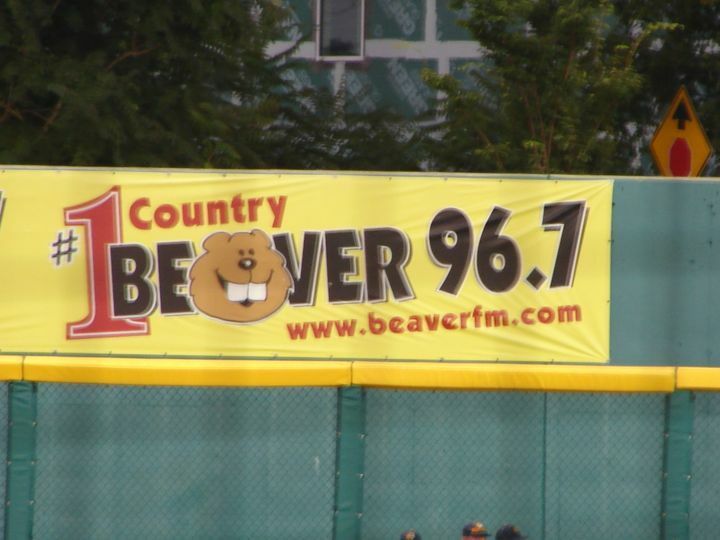 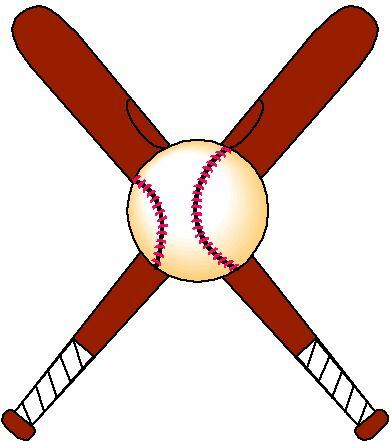 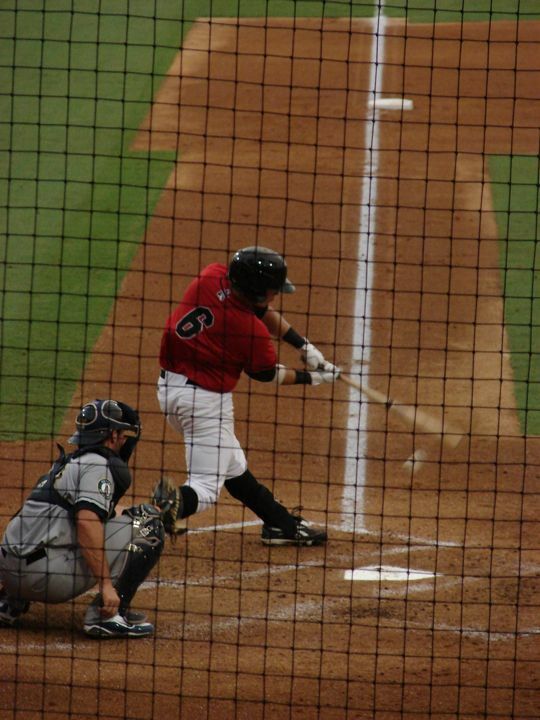 The Hot Rods were playing the Burlington Bees and won 6-5. 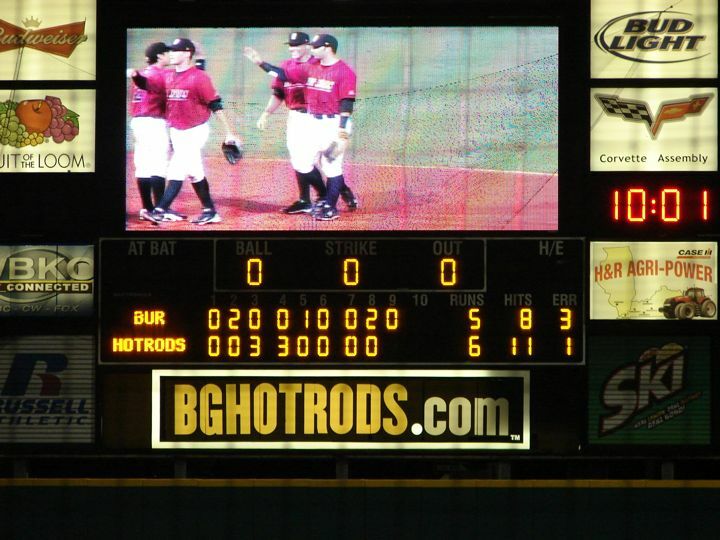 The box score was bees R-5, H-8, E-3 and Hotrods R-6, H-11, E-1. 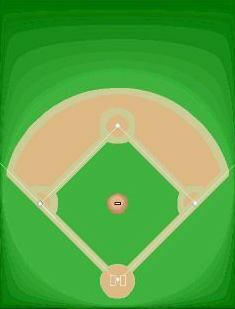 The field lines are RF-326', CF-400', LF-316'. 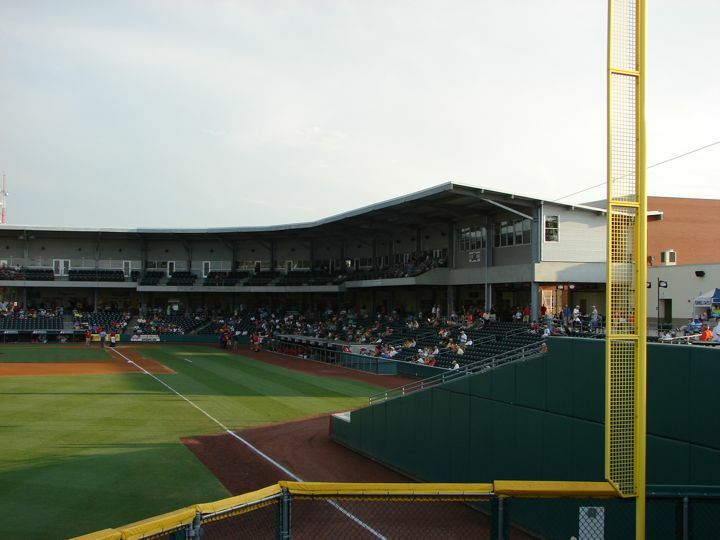 You enter the ballpark through the Team Store. 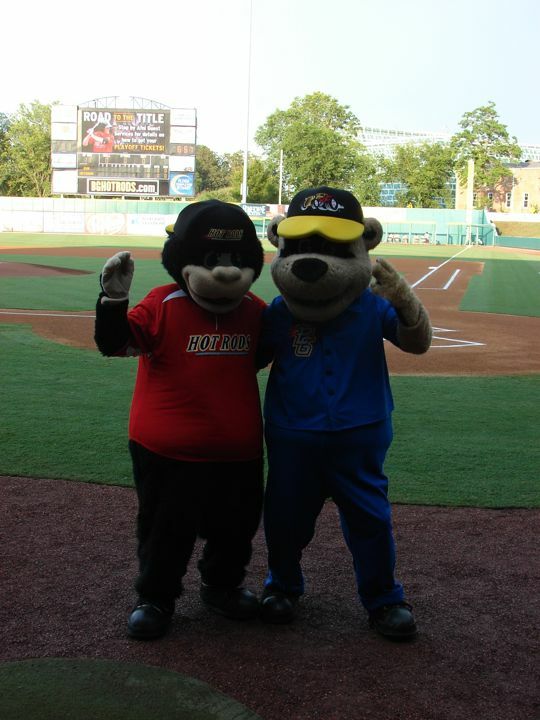 There are two mascots: Roscoe the Grease Monkey on the left and Axle the Bear on the right in the picture below. 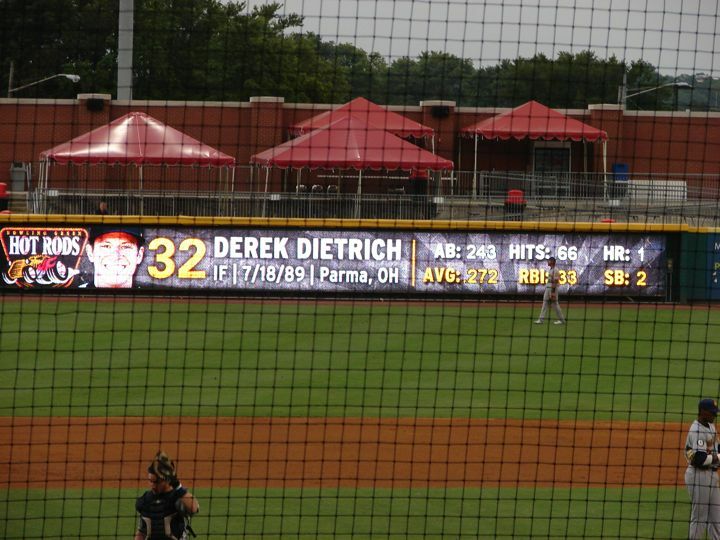 On the right field wall individual statistics are shown for each player when they are batting. 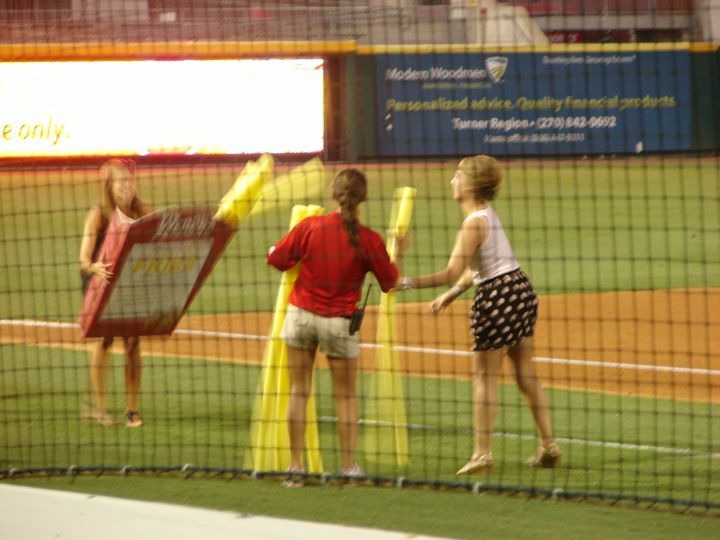 A between inning activity was the Wendy's French Fry Throw. 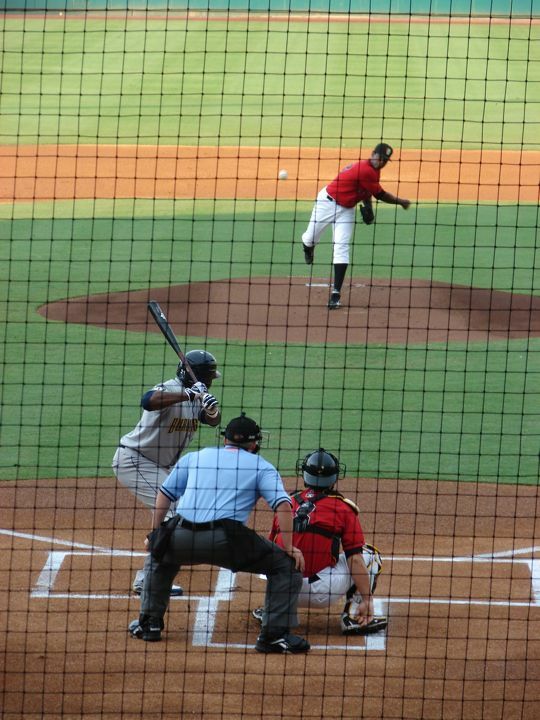 Contestants on both sides of the infield tried to throw very large french fries into the containers. 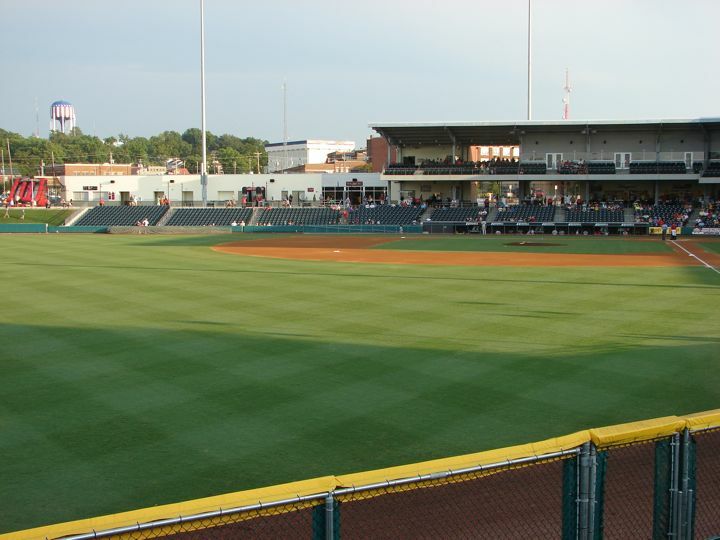 This is a very nice A level ballpark.